A few days ago, Virgin Mobile officially launched its HSPA+ network (using Bell service) across Canada. 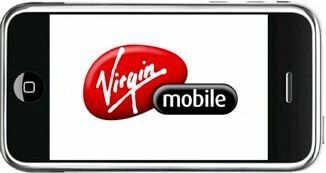 Alongside the launch, Virgin announced new smartphone rates plans and that it was carrying the iPhone 3G and iPhone 3GS. Until now, the only place to get Virgin Mobile service on an iPhone 3G/3GS was to visit a Virgin Mobile store. As of today however, prospective customers may get their Virgin Mobile iPhone 3G/3GS at their local Apple Store as well. Back in September, Apple launched iPhone Activation Zones across its Canadian retail stores but the activation zones were initially found in USA Apple Stores. These Activation Zones are a dedicated zone in which Apple customers, or just strictly iPhone buyers, can discuss, purchase and activate an iPhone just as you would at a typical Rogers/Fido/Telus/Bell store. In other words, Apple Stores in Canada can now sell and activate iPhone 3G and iPhone 3GS on Rogers, Fido, Telus, Bell, AND Virgin Mobile. The only difference between buying at an Apple Store versus an official carrier store is customers receive personal service, Apple pizazz, no pushy sales people, and an iPhone device right from the Mothership! However, the Apple Store buying method does require an appointment, so read about that here. If customers opt to build their own plan, they may choose a voice plan starting at $25/month (up to $70) and then add a data plan starting at $30 for 500MB. Additional $5/month gives customers â€œFlexi-dataâ€ that fluctuates depending on data use.